Selenium is a very popular software testing framework for testing web applications and web sites, with an emphasis on automated testing. 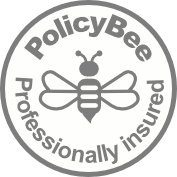 It’s a free open source tool and comes in several varieties. The simplest variety is Selenium IDE, which is a Firefox add-on, which allows simple record and playback of browser interaction. Tests are recorded as scripts in Selenese, a special test scripting language for Selenium. 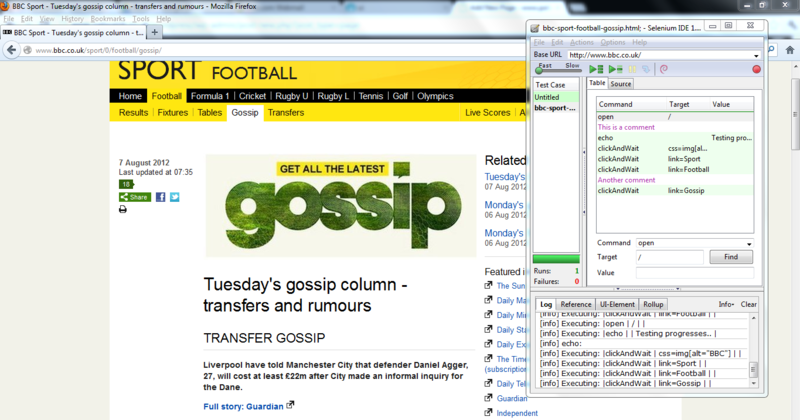 A screen shot below shows Selenium IDE in action on the BBC web site. The more complicated and flexible Selenium WebDriver is used when writing automated testing scripts. At the simplest level, WebDriver can be viewed as a library for enabling testing scripts to drive browsers for automated testing. The WebDriver library can be utilised via Java, C#, Python, Ruby, Perl and PHP. The Selenium Documentation pages make a good job of introducing you firstly to Selenium IDE then Selenium WebDriver and Selenese. I’m documenting my Selenium learning in my DevBlog.